This is a square Iron Clad porcelain sign. This particular Iron Clad sign is predominantly blue and white. 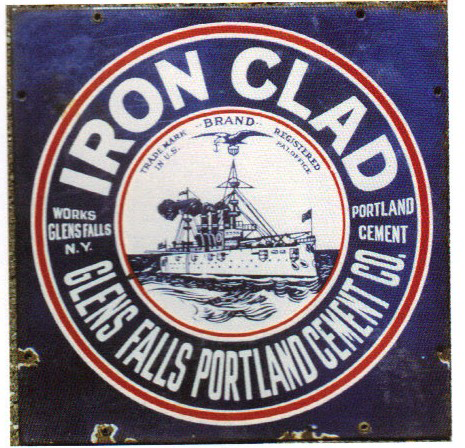 It reads, “Iron Clad, Glens Falls Portland Cement Co., Portland Cement, Works Glens Falls, N.Y.” and features a battleship in the center.